Here is your chance to connect with leading venture capitalists and seasoned entrepreneurs for collaborative workshops and networking during Office Hours at VentureScape on May 6, 2015. Entrepreneurs accepted to Office Hours will be invited to join the entire two day programming at VentureScape, the venture capital industry’s premiere annual event from May 6-7 in San Francisco. VentureScape delivers two days of compelling content, invaluable networking and premium entertainment for VCs and other stakeholders from across the entrepreneurial ecosystem. 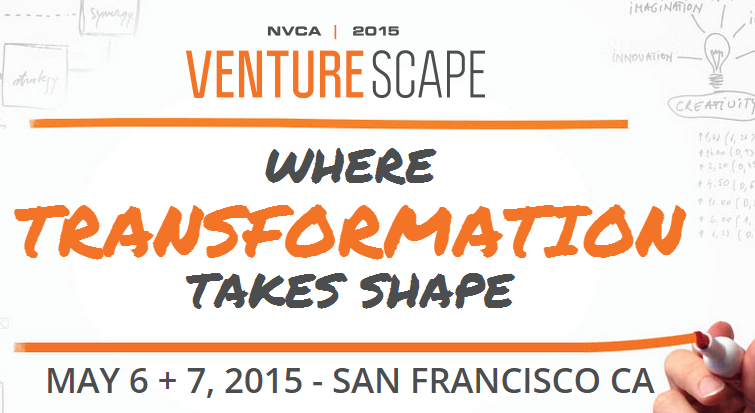 You will find below a comprehensive schedule of programming and events that will take place at VentureScape 2015. First Mover Advantage: American Airlines is sponsoring flights for 80 companies to attend VentureScape through their innovators Initiative on first-come-first-served basis. Venture Capital Workshop. Leading venture capital investors who invest across a range of sectors and stages will answer your biggest questions about pitching, valuations, and working with investors in your business. Entrepreneurs Workshop. Entrepreneurs leading companies from early-stage to post-IPO will share their perspective on how to address the challenges companies face at every stage. Networking by Industry. Connect with venture capital investors from a range of industry sectors. Our open floor format provides a dynamic atmosphere for conversation and connection with VCs. Admission to Office Hours is by application only. Office Hours is intended to serve entrepreneurs building high-growth companies who have not yet raised venture capital financing. Companies that have raised angel or friends-and-family capital are welcome to apply. Each company may bring a maximum of two participants. Applications will be reviewed on a rolling basis. All applications must be received by Friday, March 27, 2015 to be considered. Accepted entrepreneurs will be notified by email no later than April 6, 2015 and asked to pay the participation fee at that time to confirm their participation. NVCA is the premier trade association that represents the U.S. venture capital industry. NVCA’s mission is to foster a greater understanding of the importance of venture capital to the US economy and innovation. NVCA is comprised of more than 400 member firms, is the premier trade association that represents the U.S. venture capital industry. NVCA’s mission is to foster greater understanding of the importance of venture capital to the U.S. economy, and support entrepreneurial activity and innovation. The NVCA represents the public policy interests of the venture capital community, strives to maintain high professional standards, provides reliable industry data, sponsors professional development, and facilitates interaction among its members.